Asian cuisine has been at the forefront when it comes to ethnic flavor trends the last couple of years. We love a vindaloo, Thai curry, sushi, or a bowl of pho or bibimbap. 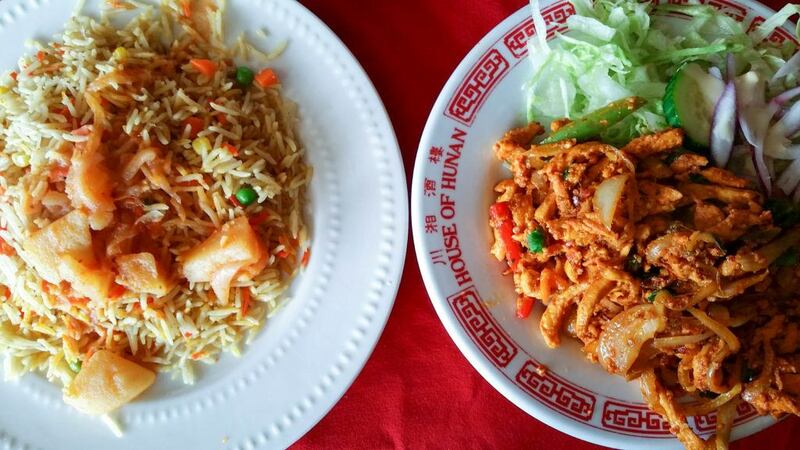 Asian cuisine isn’t going anywhere, but what’s next in spicy, flavorful, ethnic cuisine? We’re looking forward to the big and bold flavors of Africa in 2017 and 2018. Trying to sum up the flavors of any continent is a ridiculous endeavor. Africa is a big place; there are 54 countries with cultural influence from the Middle East, Mediterranean Europe, and years of British, French, German, Belgian, Spanish, and Italian colonization. African cuisine is as diverse as its people. That said, African cuisine in America can typically mean one of two things. African cuisine that came to America during the slave trade. African flavors and techniques not only blended into southern American cooking but they also shaped it. We don’t have jambalaya, gumbo, hoppin john, skillet cornbread, hush puppies, fried okra, or any number of “soul food” dishes without this African influence. African cuisine brought over more recently from Ethiopia, Nigeria, Morocco, and other African countries. African restaurants have been quietly serving up authentic, inexpensive, and flavorful dishes in cities all over America, including Denver. We took this picture during a recent lunch at Maandeeq Restaurant Cafe. Small, authentic restaurants are a gold mine of inspiration for chain-restaurant chefs who are on the lookout for new flavors. These flavors are starting to find their way onto menus in 2017. Cream and butter aren’t common in African cuisine; most of the flavor comes from spices, meat, grains, and vegetables. There are stews and tagines made with fish, beef, chicken, or marinated goat. There are chapati bread and sourdough-risen injera. Though ingredients vary, common ingredients include plantains, chiles, sweet potatoes, rice, lentils, sorghum, peanuts, and cassava. What sets African dishes apart are the spices. They’re big and bold and colorful and irresistible for any chef who wants to incorporate new flavors into their cooking. We are speaking generally here. Common spice blends vary from person to person and country to country. Harissa. Harissa is a North African hot sauce or paste. It’s commonly made from roasted red peppers and a mixture of other hot chili peppers, garlic paste, cumin, paprika, and olive oil. Dukkah. Dukkah means “to crush” or “to pound.” It’s a nut, seed, and spice mixture commonly made from cumin, coriander, sesame seeds, salt, dried herbs, and nuts. Berbere. Berbere is an Ethiopian spice mixture commonly made from chili peppers, garlic, ginger, basil, korarima (Ethiopian cardamom), rue, ajwain or radhuni, nigella, and fenugreek. Ras el Hanout. Ras el Hanout is a North African spice mixture commonly made from cardamom, cumin, clove, cinnamon, nutmeg, mace, allspice, dry ginger, chili peppers, coriander seed, peppercorn, sweet and hot paprika, fenugreek, and dry turmeric. We don’t expect to see very many traditional African dishes showing up on American menus in the near future, but we do expect to see chefs using these spice blends as a leaping off point for bringing African flavor and color to their dishes. Think harissa compound butter, dukkah crusted chicken, berbere rubbed ribs, and ras el hanout spiced popcorn. The possibilities are endless. For more global restaurant trends, take a look at these appetizer ideas. Thanks for stopping by and reading the Food & Drink Resources blog. Here we talk about food trends, culinary innovation, and the work of our team.